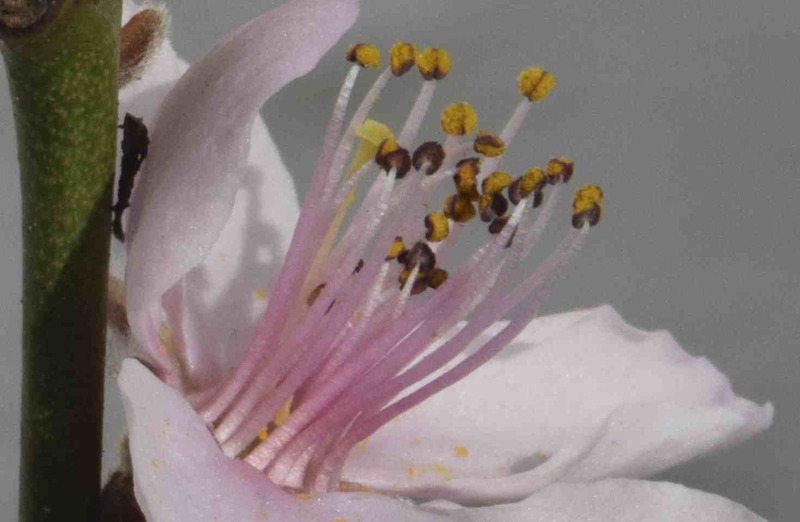 Well done to everyone who got yesterday’s Macro Monday answer – yes it was peach flowers. 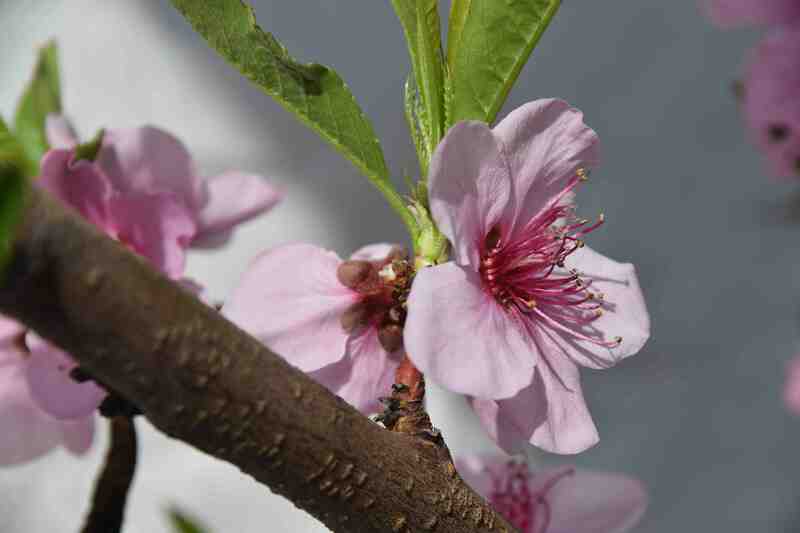 They have all been pollinate now so I am hoping that, when the petals drop, I will have some little green, furry fruits developing. 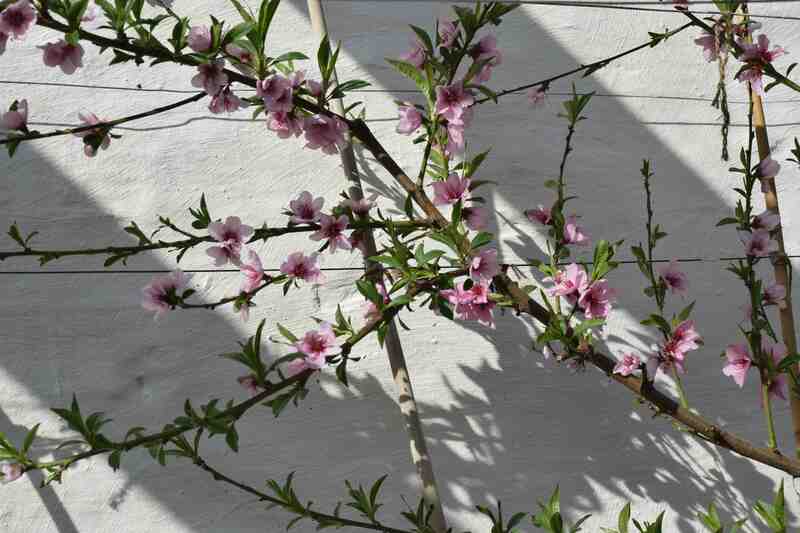 It is a bit ironic that peach flowers are not peach pink! 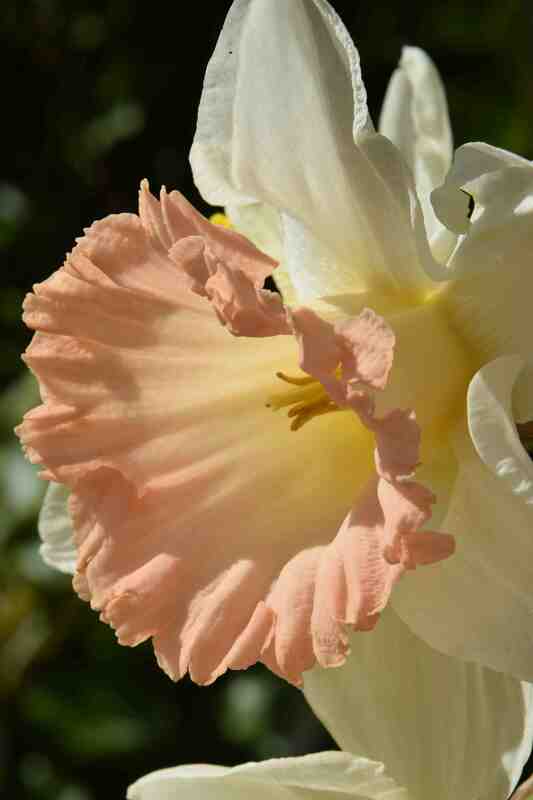 Peachy pink is possibly the right description of this daffodil: ‘British Gamble’. A new one on me, this was introduced in 2013 but is not registered and there is a lot of confusion over its description. I am sure I have the right plant but the ‘official’ description is white with a yellow trumpet edged in buff – 1W-Y. To me the trumpet seems a bit short and it is definitely not yellow. 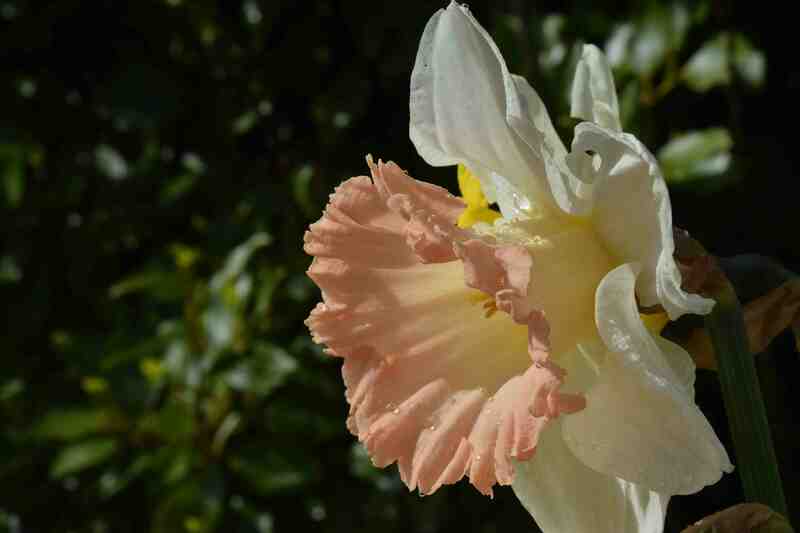 In fact, although most pink daffs open yellow and age to pink, I was delighted how pink this was when it opened. The flowers are a bit tatty because we had hail here yesterday and everything now looks as though the moths have got to them. But the trumpets are intact. This is not a show flower and the white petals are a bit ridged and mean in shape but they are a good contrast to the pink cup. In addition, the flower is getting on for huge and there is some scent too. The stems are strong but a bit variable in height so far and average around 30cm – I think this will increase next year. Time will tell how this gets on but the fact that it is being sent around the place by the Dutch growers suggest that it must increase and grow well. 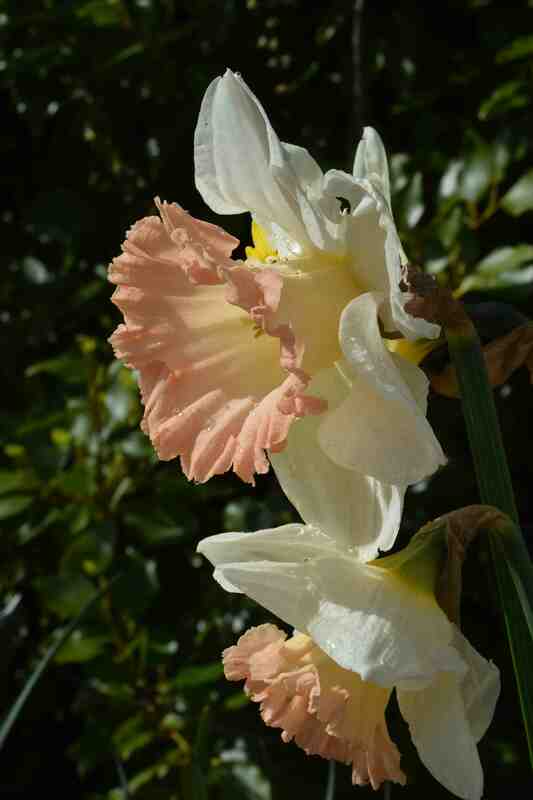 I know that not everyone appreciates pink daffs but I really like them and this is a welcome addition. I like them to such a lovely change .